About us | DCMF JUNIOR REPORTERS: WELCOME TO OUR BLOG! We are a group of students supported by the Doha Centre for Media Freedom (DCMF), a press freedom organisation based in Qatar, to cover international media events where DCMF is represented. As young aspiring journalists, we call ourselves “Junior Reporters”. DCMF launched this project back in 2011 with UNESCO international celebration of World Press Freedom Day in Tunis, Tunisia. The contribution of the junior reporters was so successful that DCMF decided to repeat the project at iPI World Congress in May 2013 in Amman, Jordan and at UNESCO Global Forum on Media and Gender in December in Bangkok, Thailand. This desire to give students an opportunity to cover high-profile events about media development and press freedom is part of DCMF’s broader efforts to promote youth media literacy. 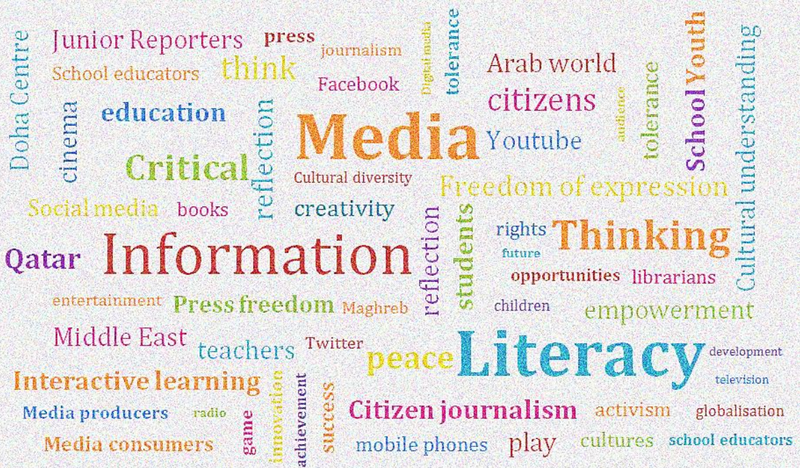 DCMF media literacy efforts are also complemented by trainings of teachers and students in schools across the Middle East and advocacy efforts with government institutions and educational institutions. Since its launch in 2011, DCMF has trained more than 600 students. We hope that you will enjoy reading this blog and benefit from our live coverage of numerous international media conferences. Stay tuned and don’t forget to follow us on Twitter (@DCMFJR) and Instagram (DCMFJR)!